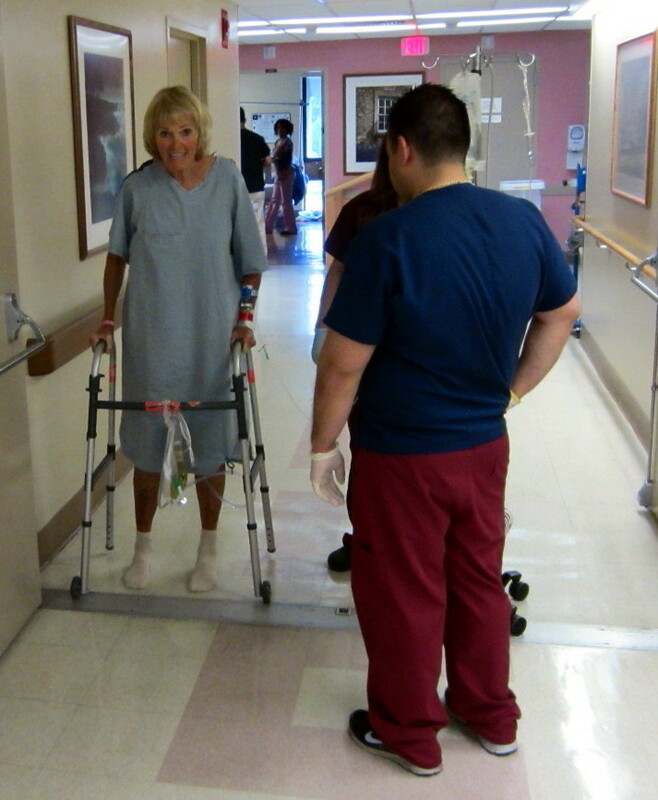 Barb had hip replacement surgery on Thursday April 24 at 7:30 am. 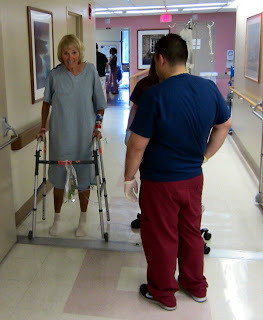 By that afternoon she was taking her first steps with assistance. The next morning I visited her and took these photos of her walking down the hall. On the next day, Saturday she came home. Of course she was on her feet way too much and it caused a few minor problems. She is coming along fine and we look forward to not using the walker. Looks like she is a champ at hip replacments. I love the outfit. How did you get her to go along with that? I had NO IDEA Chuck was doing this! At least he could have let me choose the pictures. This gown was the very ugliest one I wore the whole time! The physical therapy team was excellent. They really took the time to teach me the correct way to do what I needed to do.